Studio Neat’s Glif, one of the very first and most popular tripod mounts for the iPhone, just received a major update. The new model is adjustable, and will therefore work with nearly any size smartphone, with our without a case. 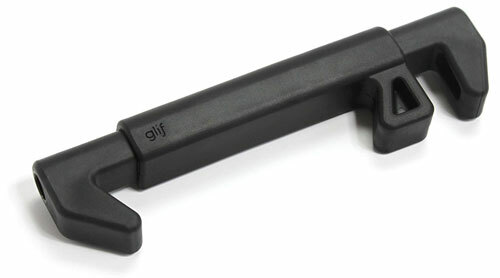 Rather than mount along the iPhone’s edge, like previous Glif models, the new Glif clamps down on the top and bottom. 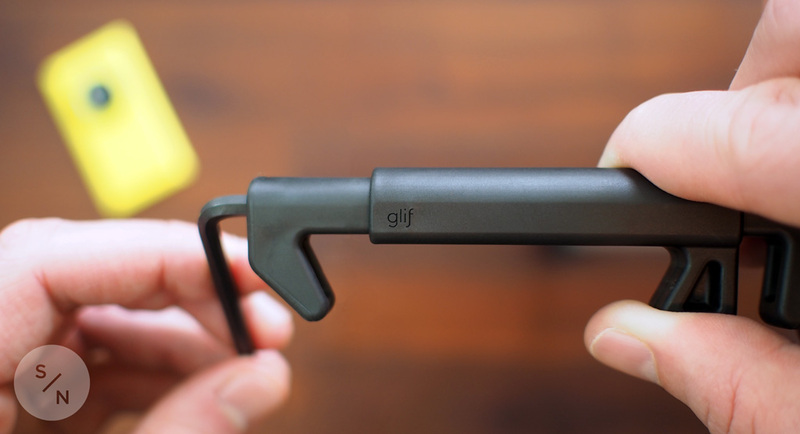 Using the included wrench, the Glif can be made shorter or taller, allowing for a wider range of sizes. According to Studio Neat’s website, the new version will fit any device between 58.4–86.4mm wide and 3.1–12.7mm thick. The new Glif ($30) is still tiny, still made from rubberized plastic, still acts as a table stand, and still features a 1/4″-20 mounting thread. While this Glif is more expensive than previous models, you won’t need to replace it when upgrading your phone to one with a different form factor. For a limited time, Studio Neat is offering an extra 10% any purchases made on their website using the discount code: NEWGLIF. If you’re not in love with the new design (I’m still on the fence), older models are still available on the Studio Neat Website, and from Amazon (4/4S & 5/5S).